The Women’s World Cup is coming up next summer in Canada, and the qualifying process for CONCACAF and other federations has ratcheted up. The USWNT is in the middle of CONCACAF qualification process taking place here in the US. Another piece this year is the expansion of the Women’s World Cup tournament from 16 to 24 teams for 2015. There is plenty to catch up on, and we are going to get you all of the info right here. To start, the upcoming tournament in Canada will expand to 24 teams from the 16 in 2011. Quite a few confederations gained extra slots for World Cup tournament: AFC-5 (from 3) CAF-3 (from 2) CONCACAF-3.5 (from 2.5) CONMEBOL- 2.5 (From 2) OFC- 1 (Same) UEFA- 8 (From 4.5), in addition to the slot allotted for the hosting nation. CONCACAF will gain an extra slot for this tournament due to Canada hosting the 2015 tournament. The format will be similar to the men’s with a group stage with 16 teams progressing to a knockout stage. Since there are 8 less teams, there will be two less groups, with the four best third place teams in their group also progressing to the knockout stage. They will be matched up with some of the group winners in the knockout stage with the runner-ups in groups A, C, B, and F being matched up in the Round of 16. As for qualifying, only Asia is completely done with qualifying, as China, South Korea, Japan, Australia, and Thailand all qualified by finishing top 5 in the Asian Cup. Africa has two of their three representatives qualified in Nigeria and Cameroon, while South Africa and Ivory Coast will play for the final African spot on October 25th. Europe, with 8 spots, has 7 of their representatives qualified as Germany, Spain, Switzerland, Sweden, Norway, England, and France all won their group in qualifying. To fill their 8th spot, UEFA will have the top 4 group runner ups have a playoff. Scotland and the Netherlands will square off in one two-legged semifinal, while Italy and Ukraine will face each other in the second semifinal. The winners of those will face off in a two-legged final at the end of November with the winner qualifying for the World Cup. Oceania has one spot in the World Cup, and only have four teams entered in their qualifying tournament. New Zealand, Cook Islands, Papua New Guinea, and Tonga will face off in the OFC Women’s Nations Cup to see who will capture a World Cup birth. South America already has two teams qualified with Brazil and Colombia, while Ecuador will face off with the 4th place team out of CONCACAF for a place in the World Cup. 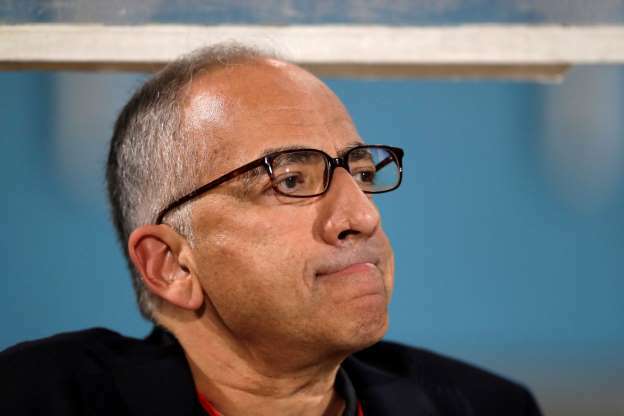 Speaking of CONCACAF, the USWNT is vying for a World Cup bid in the CONCACAF Women’s Championship that is in process. There are four teams left vying for 3.5 spots, so each nation is one win away from booking their ticket to Canada. 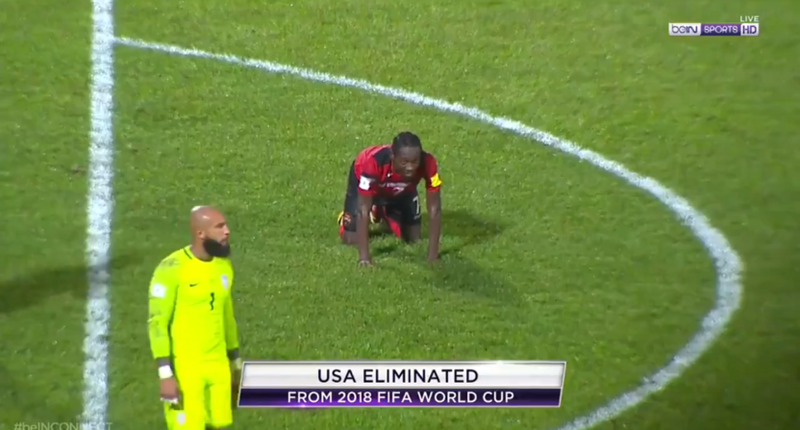 Costa Rica will play Trinidad and Tobago in one semi-final, while the US will play Mexico in the other. The winner’s will play in a final, but both teams will already be qualified. The losers of the semi-final matches will face off in a 3rd place match on October 26th with an automatic berth to the World Cup on the line. All is not lost for the loser of the 3rd place match however, as they will have the opportunity to play South America’s Ecuador in a two-legged playoff for the final spot. Canada has also qualified by virtue of being the hosts, giving CONCACAF an additional representative. With those odds, it is almost guaranteed that the US will qualify for next summer’s spectacle. That is not to say that they do not have troubles of their own right now. Alex Morgan reinjured the same ankle that kept her out for 7 months in the match against Guatemala, although it is only a sprain. The injury will keep her out of the rest of CONCACAF qualifying, although she is slated to miss around 4-6 weeks total. The team in general has not been without mistake, as many criticized their first game and half of the tournament as being “listless” after beating Trinidad and Tobago 1-0, and being up by only one goal at halftime against a hapless Guatemala team. 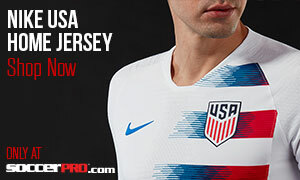 While the tournament is somewhat of a formality for the US, there are concerns that lackluster play could spill over into the World Cup. The US also has an interesting off the field issue with Hope Solo. Solo is being charged in a dometic violence case against her sister and nephew. The charges have picked up a lot of media attention, being compared to Ray Rice in the NFL, for not being suspended and continuing to feature for the USWNT. 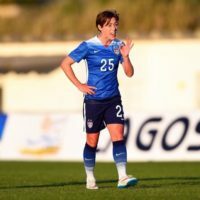 Most of her teammates on the national team have been silent on the issue, with exception of former teammate Jillian Loyden, who has stated that Solo should be benched. For now, Solo is a critical piece of the USWNT and will need to be at the top of her game if the US is going to win the World Cup. The men’s edition was very exciting and full of emotion last summer and we are gearing up for another spectacle with just as much drama next summer.